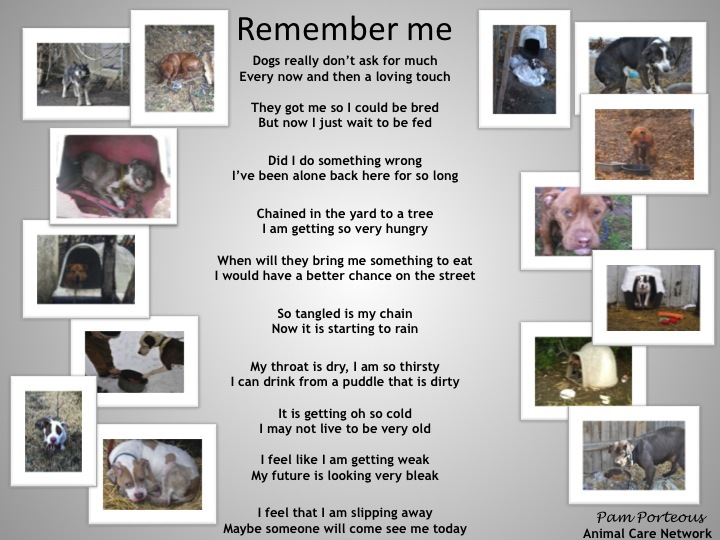 This is a poem written from the heart by Animal Care Network Manager Pam and also through ACN volunteers eyes. This is a very difficult, sad thing to witness. Unfortunately we are witness to it each day and it breaks our hearts!!! ACN does all that we can to rescue, educate, assist and make their lives better and more comfortable, if even for a moment. Even if our only option is to offer a humane and dignified euthanasia. Click the photo to see the poem in its full size. 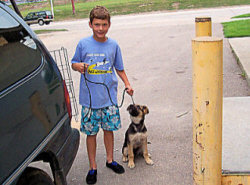 Animal Care Network in the community The Animal Care Network prides itself on forming relationships with the community, businesses and the families. This program has even won national acclaim for it’s unique and personal touch. Volunteers are on the streets every day, sometimes going door to door, to reach pet owners that need assistance, to speak about and promote spay and neuter and to educate on proper pet care. For more information and photos click here. Animal Care Network “on the streets” Animal Care Network runs are not always pretty. Volunteers come across many sad situations. The Animal Care Network Photo Gallery is intended for educational purposes only. 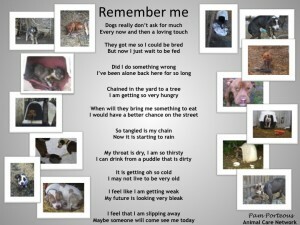 These represent only a few of the situations encountered by our volunteers. Educating the children of the communities we serve A large part of our program is to educate pet-owners on the proper care and treatment of their dogs and cats. This directly involves the children who need to be a part of the pet care so that they have good morals and compassion for animal welfare as they grow up. For more photos click here. Videos from the streets A great way to see what the Animal Care Network Street Teams encounter on a daily basis is by viewing videos made by the volunteers. 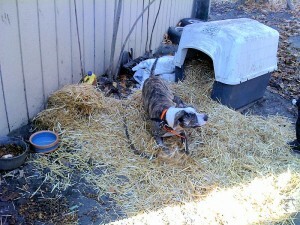 They show the reality of the abuse and neglect that these poor animals go through. Some of the videos may be graphic in nature and are intended for mature audiences only! To view videos, click here.